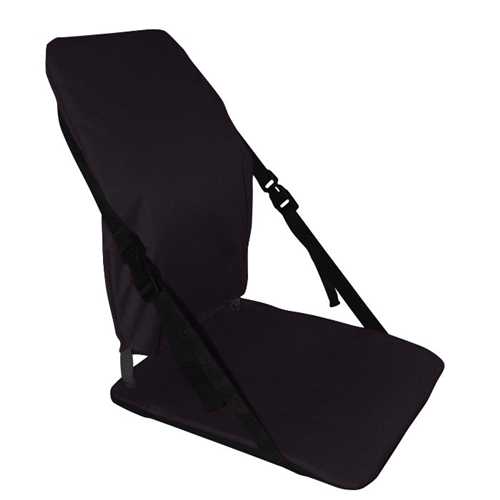 The McCarty's Sacro-Ease Sports Portable gives superior lower back support while still being portable. Complete with lumbar pad on the inside. Strapping is adjustable and allows it to be used on backless seats. Try it for for boating, meditation, yoga, sport events, camping, seminars, and stadium seating. Also fits in many office chairs, dining chairs, and couches. Resilient latex rubber straps on a 1/8" carbon steel frame form a sturdy support for back and buttocks. 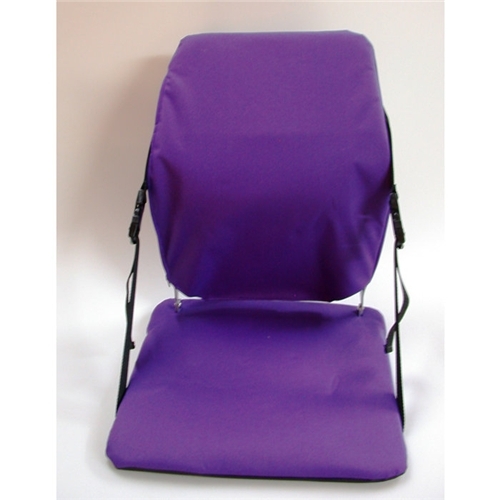 Lightly padded and upholstered in water-resistant fabric that sponges clean with soap and water. Bottom is skid and wear-resistant. 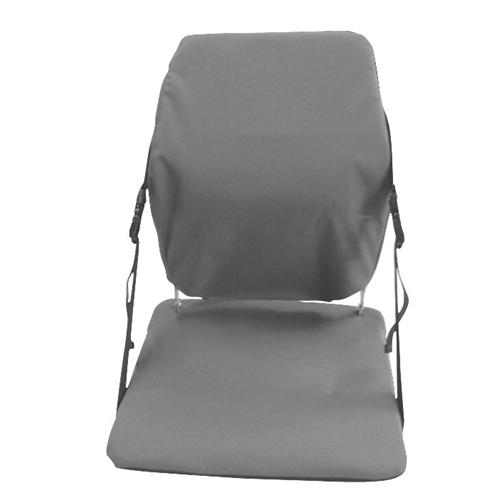 Impact-resistant metal hinges and side-strap buckles allow backrest angle adjustability. Folds up like a briefcase for carrying. 19" high back, 14" wide, 15" deep seat. Can be used directly on the ground, but do this only if your hamstrings are flexible. If you have tight hamstrings the support may tip backwards too far when you lean back. If used when driving, be sure to unbuckle the straps. How to fit lower back supports and seat cushions for healthy sitting. Match your chair to your task. 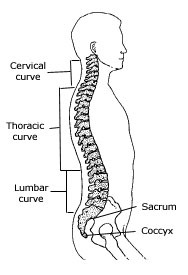 Pros and cons of foam back supports.